... but Donald Trump says it may be the best one ever! 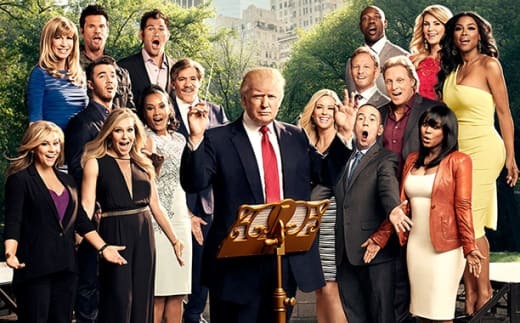 "This season of The Celebrity Apprentice is on point to be the best yet," the host said via statement. "With 16 extraordinary contestants bringing their energy to the boardroom, it is sure to be a hit, as always." So, which Z-listers are included in the cast? A Real Housewives of Atlanta member and a Real Housewives of Beverly Hills member. Along with everyone's least favorite mother of eight; a former Pro Bowl wide receiver; and the man with the most irritating voice in Hollywood the universe.